Save on salon services with convenient 2-in-1 tool for at home use. Same high-grade tool used by professional estheticians in salons/spas to maintain blemish-free complexions. Removes blackheads & whiteheads safely and hygienically, as using fingers can cause scarring or infection. Long, flat loop specially designed to gently and flawlessly roll out mature white heads. Smaller, angled end designed to effectively press out blackheads without damaging skin. Textured body provides a no-slip grip for added comfort and control. 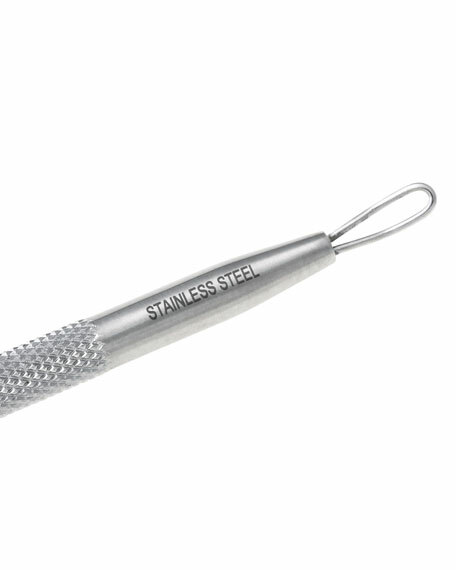 Premium quality stainless steel is durable and easy to clean. Use with extreme care. Take a hot, steamy shower or use a hot washcloth to open pores. For whiteheads, wait until the blemish has broken open then gently glide the long, flat loop over it to release debris from the pore. Use the opposite side's smaller, angled wire to gently press out blackheads without damaging skin. Remember to always sterilize tool first with alcohol or antibacterial soap and hot water. Use on only pre-cleansed skin and be sure to clean both skin and tool again after use. 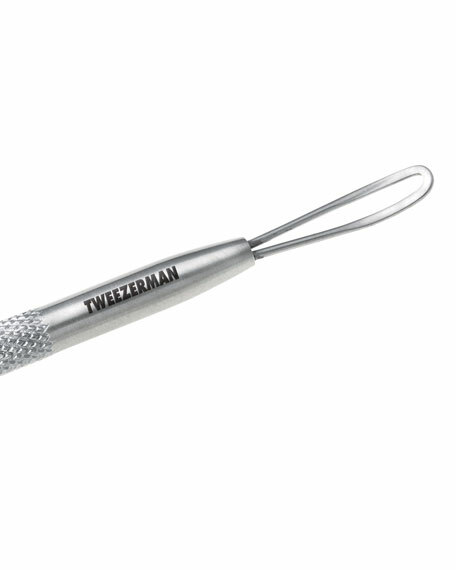 Founded in 1980 with a single tweezer design, Tweezerman first became popular behind the scenes of magazine photo shoots and movie sets. Soon, word spread (as did the styles offered) and the full range of Tweezerman beauty tools and products became known worldwide. 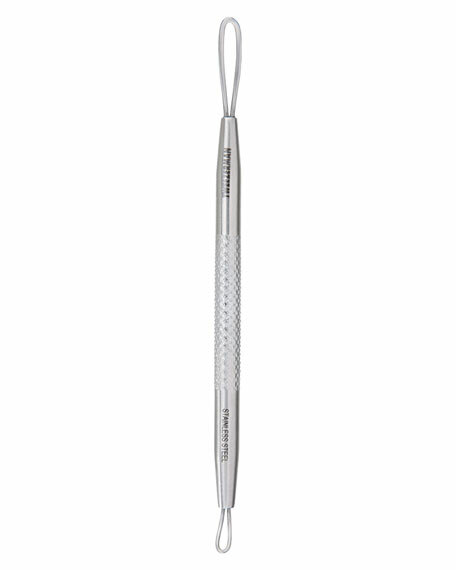 Beloved by celebrities, models, make-up artists, and women from all walks of life, each Tweezerman tool comes with a lifetime guarantee and a free sharpening policy.